Since their first ever mattress was produced in the town of, you guessed it, Sealy, Texas over 100 years ago, the renowned brand has become the biggest bed manufacturer in the world. With Sealy bed and mattresses being sold on every continent; from Australia, Japan, Canada and South Korea to right here in the UK, where they have operated for the last forty years. As proud producers of some of the finest and most innovative beds, mattresses and headboards, Sealy take the business of sleep very seriously. A key objective of Sealy’s being to help the nation become deeper sleepers. Promoting happier and healthier lifestyles through truly great sleep. 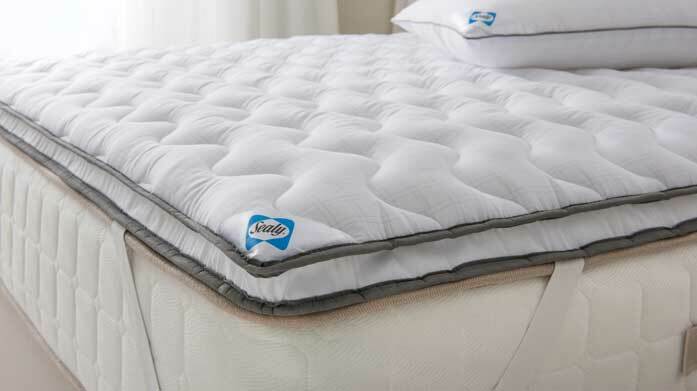 Sealy claim that the temperature and comfort of your bed have a major impact on sleep quality. To accomplish the perfect balance Sealy’s Smart Fibres were born to help people sleep more deeply in a cool, fresh and hypoallergenic environment that’s solely conducive to relaxation. The ground-breaking technology eliminates dust mites in mattresses, with the technology also being endorsed by Allergy UK. So trust in Sealy for world class beds, mattresses, headboards and bedding that will revolutionise the way you sleep.